IT IS SUNDAY evening as I write this and I am reminded by another person that I haven’t had to eat addictively today. I haven’t had to weigh myself or go out trying to lose weight. I didn’t have to scrutinise my food for the calorie content. I didn’t have to make promises to myself that I’ll never binge again, start the diet tomorrow or “cop myself on and eat like other people”. This is because I have found a solution for me to the disease of addictive eating in Addictive Eaters Anonymous (AEA). Sundays weren’t always like today. When I was obsessed with food and weight, my days looked different. I would start with good intentions but as the day went on I was unable to live up to them. Breakfast would involve going back into the kitchen for handfuls of more cereal. I ate directly from the box. One meal would merge into another. I might have plans for the day but often found myself staying for hours in the kitchen eating a variety of sweet and savoury foods. I went to great lengths to make sure no one realised that I was still eating. I had a double life – eating in the car or in my bedroom had become normal for me. I was ashamed of how I ate and the weight I’d put on. I tried desperately to control my eating by calorie watching. My weight went up and down (mainly up) depending on what control methods I was trying. While I could study, get employed, pay the rent and travel I see now that I couldn’t do this without eating. Food was a drug for me. I thought if I could just eat and be thin I’d be OK. I’m not sure I knew what OK was but I believe now I was looking to feel at ease. I didn’t know then that I was full of fear, found it hard to feel part of a group or communicate. I just felt hungry all the time. I couldn’t understand why I couldn’t get a handle on this problem I had with food despite my education about health. 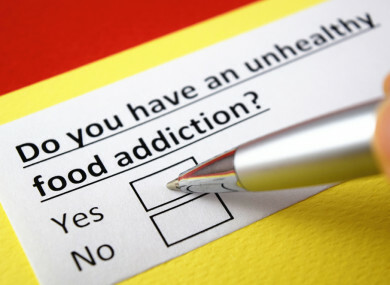 Over the years, the disease of addiction never went away – sometimes I thought I was OK but looking back now I see that I never lost the obsession. Things that hadn’t been hard at one time were now difficult to do – like going to post a letter, showering and having a gap between meals. I got to a place where I realised that I was beaten, that I was not in a rut – I was in a hole that was going further down. I believed that if I lived to be 70, I’d still have this problem, only I’d be worse. I began to feel like I was losing my dignity. One day I saw a flier in the local library that said, ‘Is food a problem for you?’. Eventually, I wrote the contact number down and after more eating rang that number. An AEA member spoke with me and she shared a little of her story. I knew she got what it was like to be me. I met another member who shared her story with me. I couldn’t believe that there were other people I could identify with. I started going to meetings and working the 12 steps of AEA with a sponsor. Today I have a new relationship with my Higher Power (God). I also depend on my sponsor and the other members, prayer, meetings and service. I get to enjoy the gift of life and the people in it. I’m still taking it one day at a time. AEA is hosting a Public Meeting in Pearse Street Library, Dublin 2 on 16 February 2019 at 10.30am – 2.30pm. Sobriety involves sticking to a sensible healthy meal plan provided by a sponsor. AEA also have a regular Monday evening meeting in Teach Mhuire, 37 Lower Gardiner Street, Dublin 1 at 7.30pm. Email “Opinion: 'Food was a drug for me'”. Feedback on “Opinion: 'Food was a drug for me'”.